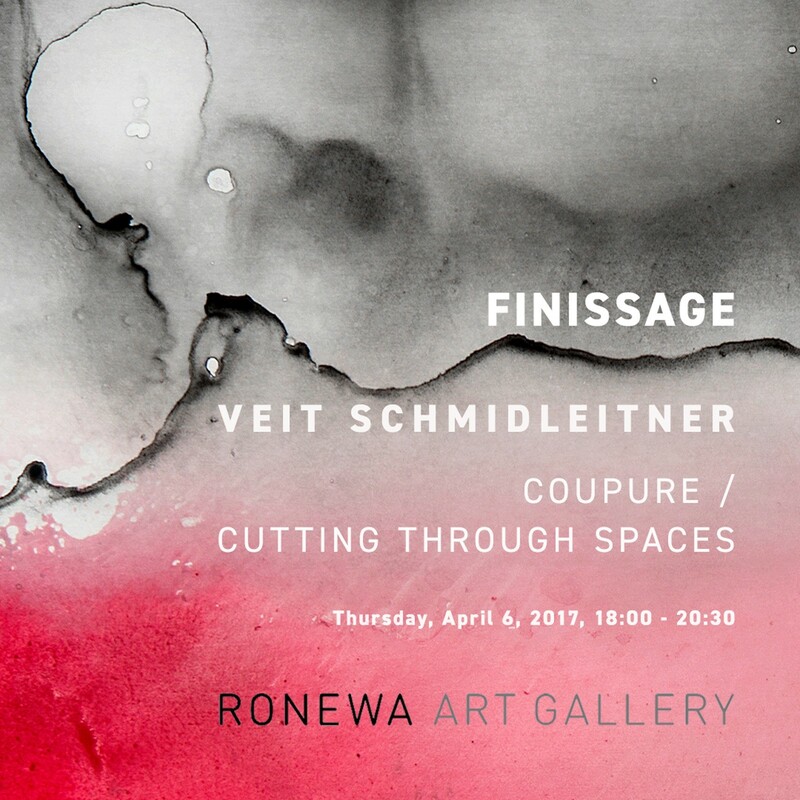 Ronewa Art Projects is pleased to announce the opening of Coupure / Cutting Through Spaces, an exhibition of works by young German artist Veit Schmidleitner. The show that opens to the public on Thursday, March 2 will highlight over a dozen mid-sized to large-scale works in addition to several more intimately sized works. A vernissage is scheduled for Wednesday, March 1 at 18:30 to 20:30 to showcase the first solo showing of the artist's work in Berlin. Schmidleitner (b.1985) makes work that unites a variety of elements and skills from his eclectic training and background in Graphic Design, an apprenticeship in varnishing, working with automotive surfaces and as a large scale sculptor securing public art commissions in Germany and Mexico. He has also applied his professional knowledge in fabrication to assist artists in translating their sculptures into metal. With materials that have always had strong industrial associations such as copper, aluminum, stainless steel, and other metals, along with industrial paints and coatings, he transforms his media and any such associations with them into aesthetically stunning works with refined, abstracted painted and finished surfaces. The artist refers to his pieces as "canvases" which are metal panels, his preferred ground, but the artist's process should not be confused with traditional notions of "paint on canvas." Schmidleitner is interested in the play of paint and light on metal. Of note is his interest in and study of ancient Chinese lacquering techniques, and the craftsmanship and skill involved in that process. Of his approach, Schmidleitner humbly says "one thing leads to another" and it is an evolution of process. Although this can be said for many artistic ways of working, his includes an over-arching, highly crafted method. It begins with planning and designing on software to produce shaped metal, in other works they are in turn cut into sections and sometimes manipulated to curve. The pieces are then reunited into one composition. An intricate network of access points in these panels and a grid system of peg-like structures on the back, allow for a facility of handling of processes. Prep layers, varnishes and coatings can be applied in various ways including spraying. Abstracted surfaces that appear to have spontaneous paint movement and with seemingly haphazard anomalies enhancing the composition, are expertly guided and applied. Light play across the works adds another intricate layer to the viewing. Shifts in tone and color are continuous depending on light sources and time of day. Preferring to create large scale or human-sized compositions, Schmidleitner offers an important clue to an aspect of his work and its relationship to the viewer. His keen interest in surface and composition includes reflection. From a distance, these paintings read as fascinating abstracted surface, but the artist has purposefully brought another reading into play that includes the room and the viewer, thereby creating yet another dimension. Veit Schmidleitner has shown throughout Germany and in the UK and France. He is the co-founder with his father and mentor Gunter de Rosa of Quantum Oddity, an artists' collective in Maudach, Germany. The artist continues to live and work there while providing spaces and facilities for other artists including graphic designers and photographers. 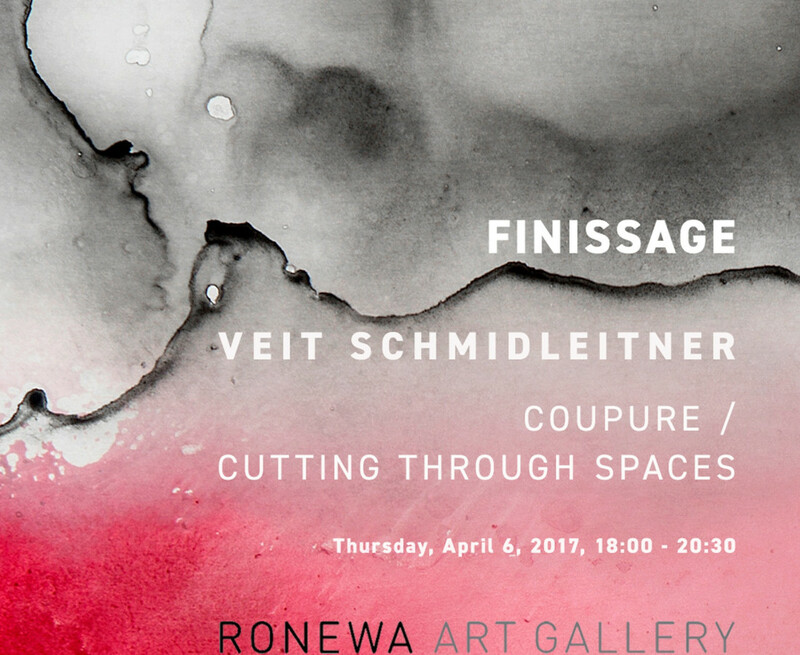 A finissage will take place at the gallery on Thursday, April 6 from 18:00 to 20:30. Note: The artist will be present at the gallery's opening reception.